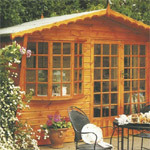 Berry Timber Buildings has been established for over 30 years. We are able to supply a vast range of bespoke buildings that are all mode exactly to the Customer’s specific requirements. Everything from chalets, to the animal houses that we have supplied direct to Whipsnade zoo. We also provide pre-fabricated buldings from various suppliers. Please visit us at our display site located out-side Cambridge where we will be more than happy to discuss your requirements. 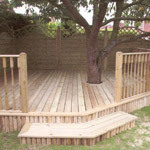 Earith Timber Products Ltd have been supplying and erecting quality timber fencing & decking and gates for both Commercial & Domestic homes from Cambridge to Peterborough for over 25 years. From picket, panel and traditional close board fencing to enhance any gardens – we have the answer for all your fencing needs. Paddock fencing work and menage construction can also be carried out. 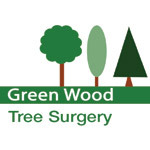 We supply and erect gates from the simplest side gate to 5 bar gates or more – impressive solid softwood and hardwood driveway gates to enhance the approach to any property, whilst at the same time giving added security. All timber in our products are sourced from sustainable, managed forests. 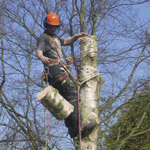 • From planting and routine maintenance to difficult removals and stump grinding. • We aim to provide a friendly. professional. flexible service to meet your requirements. • As registered waste carriers all our wood chip is either re-used as mulch or sent to compositing facilities. • Wood is seasoned and split into logs to be sold as a green fuel. • All our staff are competent and qualified and we carry out all works to a high standard.